Hewitt promotes a diversity of spiritual practices. Religious institutions and not-for-profit organizations alike foster interfaith participation, charity and nondiscriminatory acceptance. 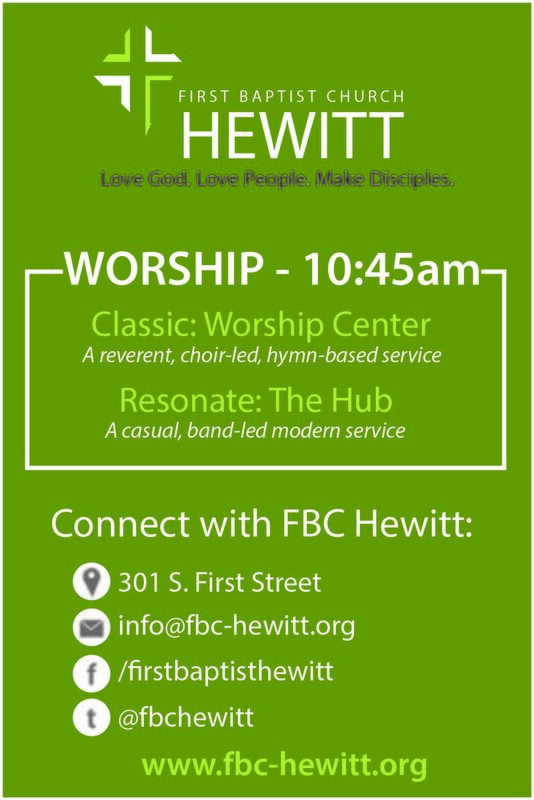 Read more about Hewitt’s houses of worship on pg. 18 of the Spring 2016 Hewitt Express magazine. 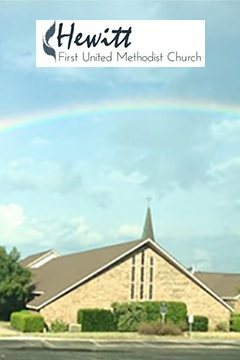 Learn more about our member churches below and scroll to the bottom of the page for a complete list of Greater Hewitt Houses of Worship (includes all religious institutions in the Hewitt city limits as well as institutions that are members of the Greater Hewitt Chamber). At FBC Hewitt we are on mission to: Love God, Love People and Make Disciples. 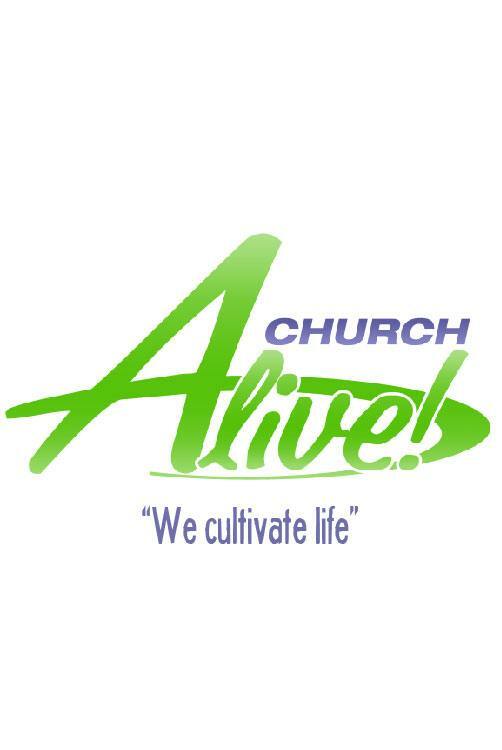 When you visit our church, you will find people from all walks of life engaged in vibrant worship; people who care for another in a community of authentic relationships; people who actively serve one another and the city; people who engage the world by sharing their faith stories; and a leadership team that provides a full array of resources to help you develop your faith. 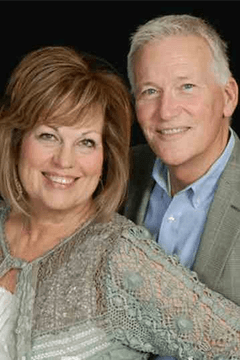 The Hewitt First United Methodist church embraces the mission of all United Methodist churches to ‘make disciples of Jesus Christ for the transformation of the world.’ We invite YOU to join us in this mission and privilege. Making disciples takes a supportive community of faith–one that recognizes, celebrates and uses the gifts of its individual members. If you are not perfect but want to love and serve others, and to grow in your faith, then you might find that you fit right in here with us! We hope that this website is helpful to you, and we pray that the peace and joy of Christ will be yours this day! Hewitt First United Methodist is also home to the Hallelujah Food Pantry. Items most needed are: Mac n’ cheese, peanut butter and jelly, canned meats such as tuna, chicken, Spam, or Vienna sausages, cereal, canned veggies and fruit, beans and rice, toilet paper, paper towels, and facial tissues. Any non-perishable items are welcome. Call (254) 666-2500 for more info. 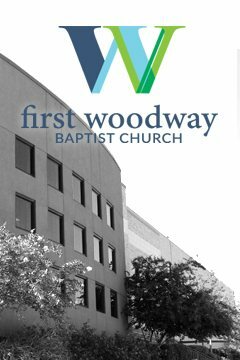 You will find at First Woodway a sense of family and belonging in a community that encompasses all generations. We believe Jesus makes a difference in our daily lives in very real ways. He breathes into us a genuine love for others, a deep sense of peace and joy, and a fresh reminder of His calling and purpose in our lives. We want you to experience the hope Jesus brings, and we extend you a warm welcome to join us in this pursuit to know Him and live out His calling on our lives. Hewitt Community Church is a family of people who have chosen to follow, to the best of their ability, the great commandment laid out by Jesus Christ in Matthew 22:37-39: “Love the Lord your God with all your heart and with all your soul and with all your mind. This is the first and greatest commandment. And the second is like it: Love your neighbor as yourself.” If you should choose to visit Hewitt Community Church, you will not find a group of perfect people – far from it, but you will find a friendly, family atmosphere of love and acceptance. Learn more at our website – www.hewittcc.org. 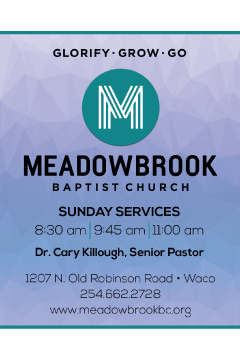 Gathering together for a time of worshiping God is the highlight of the week at Meadowbrook. If you are new to the area, traveling or looking for a church home we encourage you to be our guest. Sunday morning services are at 8:30, 9:45 and 11:00 AM Sunday School/Bible Study for all ages meets at 9:45 and 11:00 AM. The sermon, delivered by Pastor Cary is relevant, creative and charging. In all of our worship services, our main focus is that you would come as you are and be a part of worshiping God. 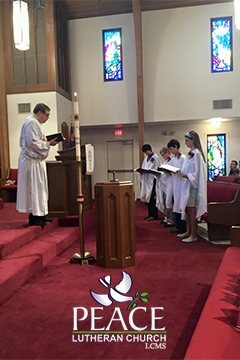 The purpose of Peace Lutheran Church is to serve its members and to spread the Kingdom of God to all people by the preaching of the Word of God, the administration of the Sacraments, the religious instruction of children, youth, and adults, according to the confessional standard of the Evangelical Lutheran Church, and to foster Christian fellowship and charity.